Behold Budapest’s grandeur. Witness Hungary’s daredevil Puszta horsemen. Visit a Croatian family’s Osijek home. View the Danube’s towering Iron Gate. Explore Belgrade’s Ottoman and European treasures, including 6th-century Kalemegdan Fortress. Make banitsa bread with a home cook in Vidin. See Bucharest’s 3,000-room Palace of Parliament. Once hidden behind the Iron Curtain, the eastern Danube still has secrets to reveal on this 11-day cruise from Budapest to Bucharest. Arrive at the Budapest airport and transfer to the deluxe Hilton Budapest (or similar) in the heart of the city for a 2-night stay. Spend the rest of the day relaxing, or do some exploring on your own. This morning, take a tour of Budapest, the capital of Hungary. Situated along the Danube, it combines the once separate towns of hilly Buda and cosmopolitan Pest into a city rich with history. Begin in Pest, where you see the National Opera House and visit historic Heroes’ Square. Cross the Chain Bridge to Buda, where you walk along Castle Hill to Fishermen’s Bastion and Matthias Church. The rest of the day is yours to explore. After breakfast, check out of your hotel and you will be taken you to embark your ship. Enjoy a final free day in Budapest. Explore a museum; do some shopping; ride the city’s innovative, efficient metro; relax in one of the Art Nouveau spas; or visit the Great Synagogue and Jewish Quarter. As always, your Program Director can help you plan your free time. Return to your ship for a welcome dinner. Arrive in Kalocsa, Hungary this morning and take a guided city tour visiting the town center followed by a short organ concert at St. Joseph Church. Then, you are treated to a performance of traditional Puszta horsemanship. Return aboard and enjoy your lunch during departure. Dine aboard. Wake up in Vukovar and have breakfast before your excursion to the Croatian city of Osijek. Inhabited since Neolithic times, this area has had several heydays under the Romans, the Ottomans and the Hapsburgs; now Vukovar is revered for its baroque buildings, parks and monuments. Return aboard for lunch and enjoy free time before an early evening departure. Wake up in Belgrade, capital of Serbia. Take a guided walk through the grounds of Kalemegdan Fortress, now a stately park; also see the Orthodox cathedral and stop at the Square of the Republic. Enjoy lunch aboard your ship before you have free time to explore Belgrade’s gracious architecture or visit one of its many museums, like the Nikola Tesla Museum. Dine aboard your ship or experience some of Belgrade’s nightlife. We depart very late this evening. Today, enjoy scenic cruising as you travel through one of the most picturesque areas of the Lower Danube. The Iron Gate is one of Europe’s most dramatic natural wonders, a spectacular narrow gorge with enormous white limestone cliffs. Your Cruise Director will provide commentary about the region and scenic points of interest as you sail toward the next port. Arrive in the picturesque Bulgarian port of Vidin, and take an excursion to see Belogradchik Fortress, built right into the striking Belogradchik Rocks. See the fortress’s amazing construction, begun in Roman times and greatly extended by Bulgarian tsars and the Ottomans, and enjoy breathtaking views. Enjoy lunch aboard your ship; then you have free time to explore Vidin’s city center, Orthodox churches and the ruins of the city’s once-grand synagogue. Depart during dinner. After breakfast, disembark at Russe for a full-day excursion to Bulgaria’s former capital, Veliko Tarnovo. There you will see Tsaravets Hill and the ruins of the royal castle. During free time, shop for local crafts along Samovodska Charshia. Continue your venture to Arbanasi for lunch in a local restaurant and a guided tour of the Nativity Church with its intricate floor-to-ceiling murals and icons. Return to your ship for dinner. VDisembark in Giurgiu and proceed to the superior first-class Radisson Blu Hotel Bucharest (or similar) in the heart of the Bucharest for a 1-night stay. This afternoon, enjoy a half-day tour of Romania’s lovely capital city. See the city’s wide boulevards, the Romanian Athenaeum, the Arch of Triumph and the Palace of Parliament. Visit the outdoor Muzeul Satului, otherwise known as the Village Museum, where authentic dwellings from all regions of the country have been relocated and reassembled, including rural cottages, farmhouses and water mills. During lunch at a local restaurant, enjoy a lively folkloric performance that recalls the simple pleasures of rural life. Enjoy a final evening in Bucharest. After breakfast, we take you to Bucharest airport for your return flight to the UK. Terms and conditions apply. All offers are subject to availability and operators booking conditions. Prices are based on two passengers sharing the lead in grade stateroom unless otherwise stated. All savings are included in the fares shown and were correct at time of print, but are subject to change. Savings of £500pp on 2019 Viking River Cruises PLUS free gratuities is valid to new bookings made by 30 April 2019. 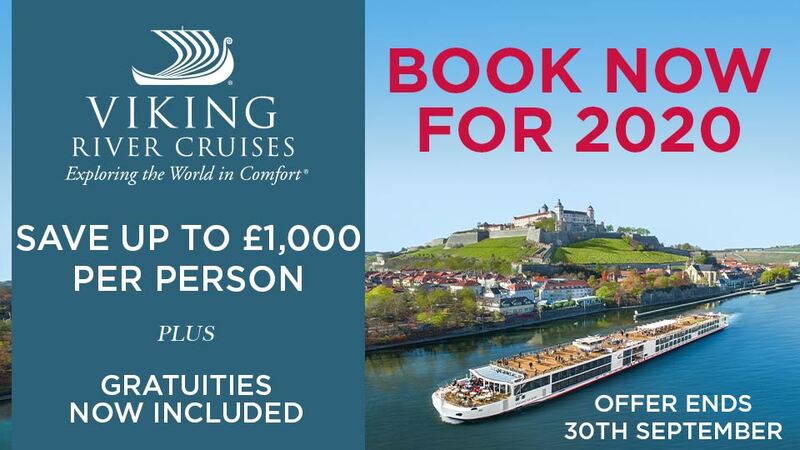 Savings of £1,000pp on 2020 Viking River Cruises PLUS free gratuities is valid to new bookings made by the 30 June 2019. 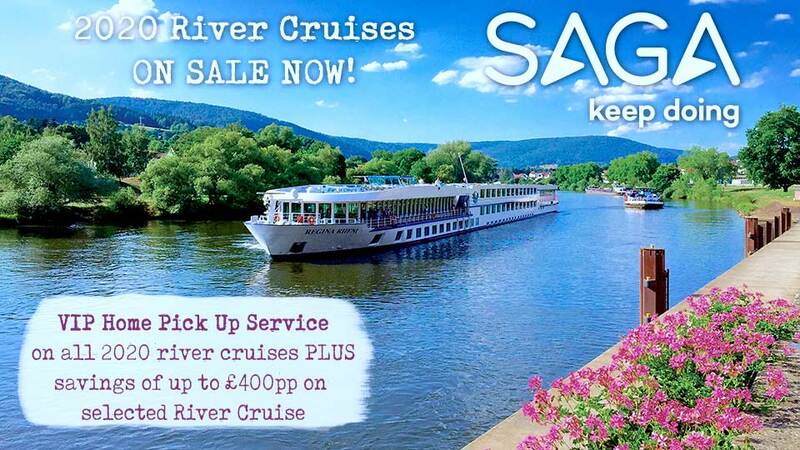 Offers may be changed or withdrawn at any given time.^Itinerary operates in reverse, please call to confirm. Free gratuities are not available on Egypt itinerary. We charge a one-off small £20 booking fee. That’s it - nothing more and no add ons when you pay the balance. E&OE. ABTA P6710.